For the first time, ace filmmaker Shoojit Sircar is going to direct one of the most popular young Bollywood stars Varun Dhawan in an unusual love story, titled October. The film also brings writer Juhi Chaturvedi and co-producer Ronnie Lahiri together with Shoojit after Vicky Donor and Piku. On July 25, Tuesday Varun Dhawan took to Instagram and shared his pictures with Shoojit, from the script reading sessions. He captioned the pictures, “I have been an ardent fan of Shoojit da’s work and have always wanted to work with him. The film is titled October. Soojit da Ronnie and Juhi have always made good cinema. I’m very lucky to get a chance to work with them”. 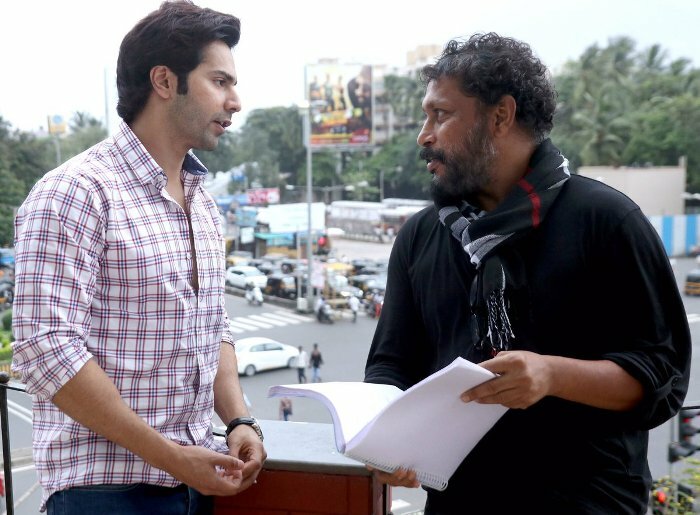 Varun who is currently busy with his upcoming offering Judwaa 2 seems very excited to be a part of Shoojit Sircar’s film. He said, “I like to do films that are entertaining and out-of- the box. I have been an ardent fan of Shoojit da’s films and have always wanted to work with him,”. “October is a beautiful story in which I play a character with many layers. It’s a difficult character to play and something that will challenge me as an actor. I hope people get to see a new side of me with this film,” he added. Asking about the film to the director Shoojit, he said, “The title of the film is October. I cannot reveal much at this point but I am really looking forward to this story. I usually work with an idea and this time I am exploring the idea of love or how I see it. This one came from a newspaper clipping that I happened to read,”. Being produced by Shoojit himself and Ronnie Lahiri under the banner Rising Sun Films, October will go on floor in September this year and will be shot in Delhi. Reportedly, makers are hoping to release it next year in the first quarter.